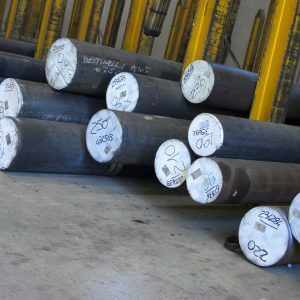 They are suitable for cold welding thanks to their chemical analysis which contains limited amounts of residual elements and restricts the sum of copper, nickel chromium and molybdenum to 1.00 % only. Slow cooling or alternatively PWHT (post welding Will ment) at 590 °C may follow cold-welding. If the components are to be used for Joints by welding it is worthwhile to specify in the order a maximum Ceq (carbon equivalent) of 47. The user should specify the impact strength value on the basis of the use and the stresses to which the material will be subjected. When the thickness of steel A-350 LF2 is more than 100 mm and the working temperature is —46 °C hardening and tempering is recommended. Normalization, which is generally requested, may be insufficient. 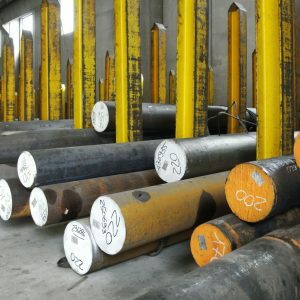 Steels with relatively low carbon content do not have a high hardenability but, on the other hand, may be quenched in water without risk of failure and this is ideal for the manufacture of small mechanical parts. They must be fully killed and have a fine grain size. A conventional electrical furnace may be used for their production or alternatively VIM, ESR or VAR.